Do you ever wake up in the middle of the night or morning with one or both shoulders feeling numb? If this happens even while sleeping in a normal position, you may have an underlying nerve issue or condition. While numbness may not seem like a big enough nuisance or concern to seek medical attention, if this is becoming a recurring problem, you should make a doctor appointment to find out what exactly is the cause. Nerves are an important component of the nervous system that are responsible for sending messages from the body to the brain and spinal cord by generating electrical signals. Nerves are located in every corner of the body. When nerves get damaged, you can experience a variety of symptoms like numbness. Regular use of the shoulder can sometimes lead to wear and tear injuries that lead to nerve damage. Repetitive motions while working, playing sports, or doing hobbies can cause these types of injuries. When this happens, you might experience numbness in your shoulder. Pinched nerves happen when a nerve gets abnormally pinched due to pressure. A pinched nerve can cause a variety of symptoms including pain or numbness. If you have a pinched nerve, it can lead to shoulder numbness. The pinched nerve doesn’t actually have to be physically located in the shoulder. For example, a pinched nerve in the back can lead to shoulder numbness, as well. Some medical conditions, such as axillary nerve dysfunction, can cause nerve damage. Such conditions can cause numbness in the shoulder area. Physical trauma to the shoulders can cause nerves to be damaged. Examples include a car accident, sports accident, or an indirect injury from surgery. Nerves damaged in trauma can cause a variety of symptoms including sensation loss in parts of the body, including the shoulder. If you are experiencing numbness in the shoulder, make an appointment with Dr. James Talkington of Florida Sports Medicine & Orthopaedics. 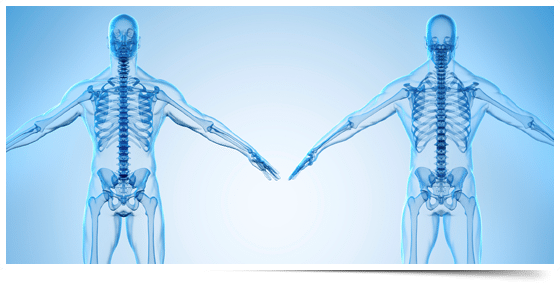 Dr. Talkington is board-certified by the American Board of Orthopedic Surgeons, and he has a wealth of knowledge and experience treating sports-related orthopedic injuries and conditions. Dr. Talkington personally sees and treats each and every patient, so you’ll get customized attention directly from the doctor. Whether you have numbness in your shoulder or any other orthopedic concerns, call (850) 763-0346 to make an appointment today. You can also request an appointment online.